Odegbami: 2030 – West Africa’s Turn To Host The World Cup! On the night of Wednesday, May 17, 2017, I followed the news on CNN. It was about USA, Mexico and Canada, in short the entire North American continent, bidding to host the FIFA World Cup in 2026 when the new 48-nation format will begin. A renowned international journalist described the idea as the model of the future. The Secretary General of CONCACAF, the North American Football Confederation, also described the bid as one that is most likely to succeed because the region has all the required infrastructure in place to host the biggest single event in the world. And also because only Africa could bid against North America considering that Asia, Europe and South America would have had their turns at hosting the last three World Cups before 2026! Africa should be clever and leave that bid for the North Americans. The idea of a joint bid amongst more than the two (after Korea/Japan 2002) countries is not new. It first came out of Africa in 2003 when Nigeria mooted and even proposed to lead a joint 4/5-nation bid to host the first World Cup in Africa in 2010! The idea was considered ludicrous at the time by a large section of the Nigerian media that shot down the project before it even left the tarmac. Meanwhile, the reality at that time is that the idea was sprouting already. A study group had been set up by the Nigerian government to examine the feasibility of the project, meetings were held between representatives of the four West African countries, letters from the then President of Nigeria, Chief Olusegun Obasanjo, were written and delivered to the Presidents of Benin, Togo, Ghana and the Cameroon selling the idea and proposing a joint committee to advance the project. An initial proto-type bid document was even prepared by the Nigerian study group for the West African countries to study and make inputs. The excitement generated in all the countries except Nigeria was cut short then by an obviously shortsighted section of the Nigerian media that saw everything that made it an impossible mission but none of the things that could have made it a real possibility. That was 14 years ago. This is now. Now, the rest of the world has caught up with the idea and the most powerful nation on earth is proposing the Nigerian-model of 2003 and describing it as the future of the World Cup! My admonition now again is that 2030 is just down the road in time. In that year it will be Africa’s firm turn again to host the World Cup. The idea of a West African World Cup in 2030 to be led by Nigeria is there again for the taking. That bid will represent the genuine model for the future of the World Cup – a financially lean and inexpensive competition that will not cripple entire national economies; one that will not leave White Elephant facilities in their wake; one that will not impoverish any single country but will make more countries share the costs and burdens as well as the huge benefits accruable from hosting it; one that will de-emphasise opulence and grandeur, reduce waste and introduce a genuine spirit of celebration, of humanity, of friendship, of peace, of unity and of international cooperation between nations, particularly, in a geographical region. With 12 years to 2030, Africa must begin to mobilise to host the World Cup again. A 5-nation West African bid by Cote D’Ivoire, Ghana, Nigeria, Togo and Benin is an attractive possibility! It can be done, it must be done. That will be the true model for the future of the World Cup. When Football And Music Met In A Star Fusion! The ambience of a music hall is very distinct from the noisy, packed terraces of a football ground. The two worlds hardly ever happily meet except during the opening and closing ceremonies of major international football events. So, can you imagine what happens when Tu-face Idibia, Yemi Alade, Simi, Korede, Wande Cole, Kiss Daniel, Falz, and others, some of the greatest musical artists in Nigeria presently, appearing on the same stage with Jay Jay Okocha, Kanu Nwankwo and Victor Ikpeba, some of the megastar legends of Nigerian football, in an extra-ordinary entertainment package! Well, that’s what happened some two weekends ago in Lagos. 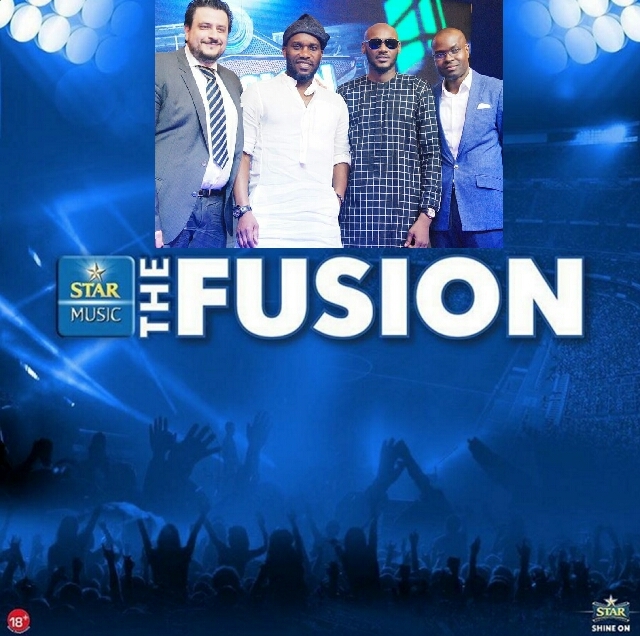 The title of the event is Star Fusion an activation project of Star lager beer the latest powerful new entrant to Nigerian football. The drink has become a serious player in the world of football through its measured sponsorship of top selected European clubs and, now, of Nigerian football. This out-going season Star became a sponsor of six top football clubs in Europe – Torino FC and Juventus FC in the Italian Serie A, Paris Saint Germain (PSG) in France, Arsenal in the English Premiership, FC Barcelona and Real Madrid from the Spanish La Liga. Four of these clubs are easily four of the biggest clubs on earth with a cumulative followership of over half a billion registered fans. The clubs are a massive draw in Nigeria partly as a result of the Nigerian players that featured for them in the past, for example, in Arsenal where Kanu Nwankwo is still considered a legend, and Jay Jay Okocha in PSG. So,it was a very clever promotional concept to bring together the huge audiences of the game, of the legendary Nigerian footballers and of the top notch European clubs, and the unprecedented passionate followers of current Nigerian music and its megastar artists, on one platform for a truly unique night of entertainment. That’s exactly what Star Fusion set out to achieve. It was a risky experiment that must now become an excellent model for the future of entertainment with its simple strategy. I was there to witness it’s birth. A legendary Nigerian football star is attached to a very popular European club, and 4 or 5 megastar musical artists are attached to the group to form a new team named after the footballer. Each team puts up a musical performance heralded by dazzling lights and sounds for a total duration of about 30, or so, minutes. Each presentation includes a historic film footage giving a short background of the European club, and a few of their great players in short film clips shown on a giant screen accompanied by sound effects. The team leader (the football legend) leads his team out onto the stage and then gives way to the musical artists in his team who come one after the other, or together as the arrangement may be, to perform a few of their most popular musical hits laced with great synchronized dancing or drama. In the case of TeamOkocha their presentation included a fashion show of some truly stunning models. The ultimate prize that night belonged to the specially invited audience that filled the hall to its capacity. It was a night of first class, undiluted entertainment. You needed to be there to appreciate the packaging. There was little talk, plenty of dazzling lights and sound, plenty of synchronized dance movements, some drama, historic film footages of the 6 European clubs on giant screens, dramatic appearances on stage by the 4 legendary Nigerian footballers (Jay Jay Okocha, Kanu Nwankwo, Victor Ikpeba, and Anne Chiejile), and the two outstanding sports analysts (Charles Anazodo and Colin Udoh) that made up the balance of the 6 teams featured. Gbenga Adeyinka, master comedian and compere, seamlessly anchored the show linking the different segments in a fast paced presentation that left everyone in the jammed hall breathless and asking for more. Each team had a different presentation. The whole concept was unique, a fantastic entertainment architecture from a truly creative mind. It held every one spellbound for the two and a half hours the event lasted. I am glad I witnessed the Star Fusion. The event was a blast! Football and Music came together in a happy union, each feasting on the passion, patronage and power of the other to promote a popular product. Odegbami: Congrats Super Eagles As Football Takes Over The World! Odegbami: The FIFA Confederations Cup – Cameroun and Germany!